Octego Ltd boasts an extensive range of products to offer, including delivering hygienic wall cladding to Sussex clients and the surrounding area. With a number of different hygienic wall cladding products available to clients, we are able to provide situation specific advice on the best type of hygienic wall cladding for your project needs. Hygienic wall cladding has a number of applications and is often used within the commercial sector for its way of maintaining a high hygienic standard. Clients managing hospitals, food factories, restaurants and bakeries among a range of other industries would benefit from choosing hygienic wall cladding for their new fit-out and refurbishment projects. We also deal with all types of insulation panels and wall cladding, so whether you are looking for a full refurbishment project management service for the entire project, or you are looking for assistance with specific fit out and refurbishment services, Octego Ltd are more than happy to offer expert advice to all clients. Octego Ltd originated as a resin flooring contractor over 40 years ago, and since then has branched out to cover a wide range of fit out and refurbishment services for companies and businesses of all sizes. Specialising in construction and management solutions, Octego can also offer a complete fit out and refurbishment package for any clients looking at extending their premises or improving their property to better suit the needs of their specific business. With an experienced team of hard working experts, we take pride in offering first class services at competitive rates. Fencing –With fencing products for temporary building work, major outdoor events and more, choose from a wide range of different fencing solutions from Octego Ltd suit your needs. 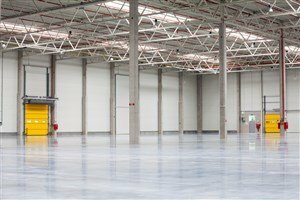 Resin Floors – Octego Ltd have over 40 years’ experience in the supply and installation of high quality resin floors. Creating resin floors that maintain a safe working environment, get in touch for professional advice on the best materials for your business. Drainage – In many industries, high quality drainage systems are essential. Octego Ltd offer expert advice and assistance in installing the best kind of drainage system to suit the needs of your business. We can also carry out repairs to collapsed and damaged pipes where necessary. Roofing – Octego Ltd can provide situation specific advice and assistance on a range of roofing issues and solutions, from gutter lining to cladding and roofing itself. With installation and maintenance services also provided, you‘re in safe hands with Octego Ltd’s roofing solutions. Whether you are looking for advice on the fit out and refurbishment services we provide, you’d like more information on our Hygienic Wall Cladding or if you have any questions about the other services we provide, please do not hesitate to get in touch with us today. Simply call us on 01444 405269 to speak directly to a member of our friendly team, or contact us by filling out the form to the right, where we will get back to you. We look forward to hearing from you soon.